Posted on June 1, 2015 at 4:29 am. Leo Vegas is offering registered real money players a chance to win a share of up to $100,000 by playing popular online pokie Starburst until June 22nd. To enter and be eligible for this huge prize, players must have registered accounts at Leo Vegas Casino, and place real money wagers – placing free bets during practice play mode doesn’t count. For every $1 wager you place on Starburst spins, you’ll earn one ticket to the Starburst Festival raffle and a spot on the list of the top 50 ticket earners, updated every day to give you a good idea of where you place in the competition. If you take a shot at Starburst regularly throughout the week, you’ll score the weekly cash prize of $2,500; if you’re even luckier, you can take home an even bigger cash prize of $10,000 at the end of the promotion. Players can also be credited five free spins to accounts every week, should a minimum of $30 weekly be wagered on Starburst. For participating, the top 100 players can also look forward to getting smaller cash winnings and a weekly draw for tech-related gifts like Apple iPhones, iPads and the new Apple Watch product. 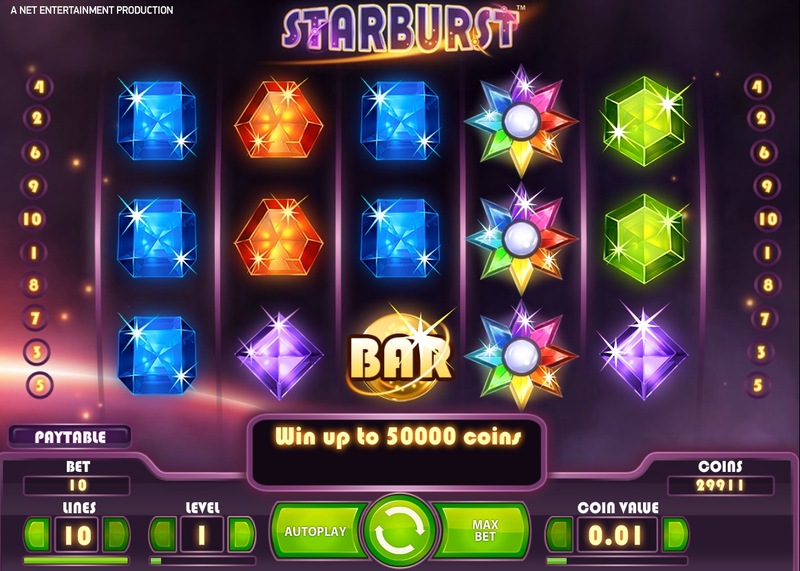 Playing Starburst as a newly registered player and taming advantage of the promotion is enticing, given players can expect free spins on Starburst upon depositing for the first time, too, so it’s worth giving the colourful and visually mesmerising video slot a shot to win big money while having fun.